In recent weeks the service was almost completely down. 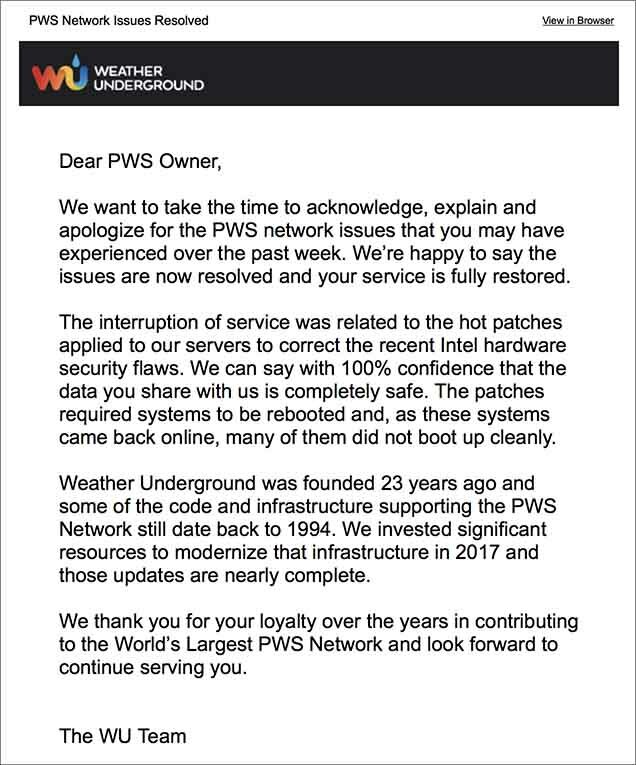 Weather Station users who use Weather Underground as a data source or target know something about it. and if one reads between the lines, it provides some information which I already suspected … It’s a failure of the organization: no people, no budget, no will. That seems to be confirmed, what they do is to try to solve the most important current problems and let the dust fall. A way to prorogue a service (which some pay) without the will to do something really differentiating and sustainable. That’s really sad, you’re right.